For centuries, the Batwa lived in the jungles of Bwindi and Mgahinga forests as hunters and gatherers until 1991, when the government evicted them from their ancestral dwelling to conserve wildlife. A semi-nomadic pygmy tribe, the Batwa were guardians of the forests, known for their great skill in hunting and dancing. For more than 4,000 years, they lived in trees and caves, gathering honey, leaves, and fruits of the forest and hunting with poison-tipped arrows. Much as Bwindi is widely known for gorilla trekking, a visit to the Batwa community is surely a not miss on your gorilla safari to Bwindi Impenetrable Forest National Park. Batwa community trails are usually done after or before gorilla tour, but the experience is worth it. These Batwa trails lead you to the Batwa communities, who settled in Mpungu Village and into their homes, bringing one close to these ancient people, who for thousands of years, co-existed with wild animals in the forests before the introduction of gorilla tourism and conservation. Although done for a short time, the Batwa trails in Bwindi are related to the Batwa cultural trail in Mgahinga Gorilla National Park in which travellers spend the whole day experiencing the Batwa’s traditional forest life. The Batwa were evicted to the forest edges. The Batwa community walks in Bwindi take one to Batwa local communities where you learn more about their forest life. It is not just a conventional nature walk but an in-depth interaction, which increases one’s understanding of who the Batwa are. One may meet some small groups of Batwa during gorilla trekking, but a walk out to their homes is an amazing experience. Two decades outside the forest life, the Batwa are still unable to compete on equal terms with other ethnic groups in Uganda. They remain marginalised and are the poorest section of the society. They believe they were owners and custodians of the forests, but the government never allocated them alternative land, which is a violation of their human rights. Batwa pygmies are also known as the “forest keepers” who lived harmoniously with wild animals in the jungle for thousands of years. These people would make small huts made of leaves and tree branches, where they would stay comfortably. Batwa pygmies did not do farming, but lived a happy life in the forest. However, despite their long living and free access to all forest resources, these indigenous people had no legal ownership of the forestland, a reason they were evicted with no compensation. 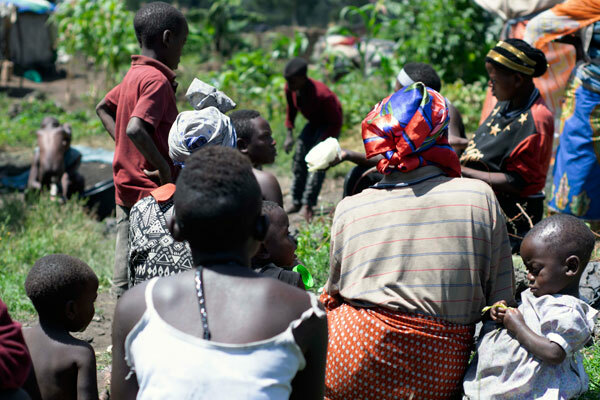 Today, the Batwa live in small communities and they welcome travellers in their homes, sharing with them detailed information regarding their traditional forest life. The Batwa are believed to have loved the forest like their lives and they knew well that God had blessed them with the forest as their own. These people depended fully on the forest for a livelihood, and they would freely roam all over the forest for honey, wild yams, fruits, firewood, as well as hunting down small animals on which they survived. Batwa trails in Bwindi Impenetrable Forest National Park are different from the Batwa trail in Mgahinga Gorilla National Park, but both excursions reward one with a memorable experience. In trying to adapt to a normal life after their eviction from the forest, the Batwa have now started different coffee shops where travellers can enjoy coffee as they listen to stories, others make craft products such as baskets, hand bags, hats, bead and mats, among others. Travellers are encouraged to buy these products as an indirect support to these less developed people. More still, an interaction with the Batwa is a great opportunity to understand in depth their ancient forest life and their coexistence with wild animals.